Certificates of recognition help in developing self-esteem, especially in children. 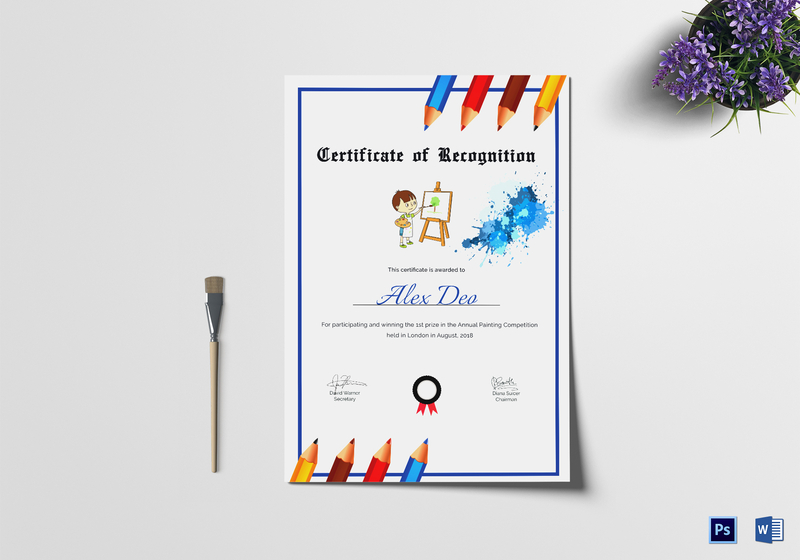 This colorful and fun template can be used to award creative recognition. 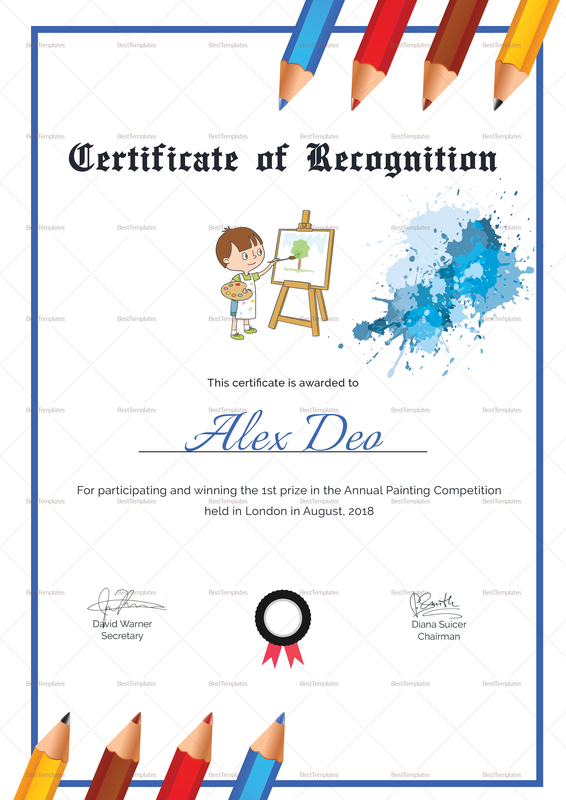 With an equally creative, customizable layout available in several file formats, you can easily share and print this template to celebrate your students’ creativity and artistry at any time.